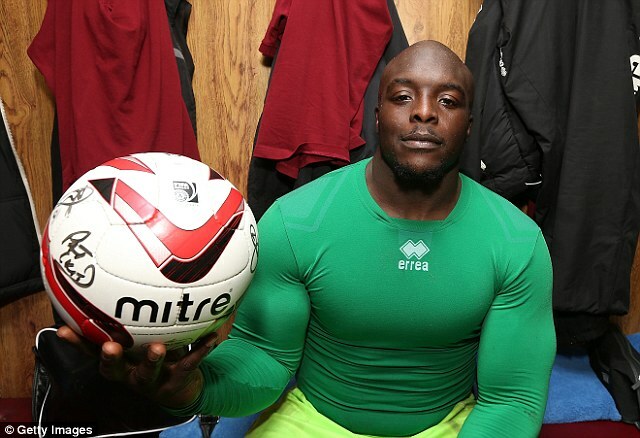 Akinfenwa, who plays for Gillingham, was glad when he read EA Sports tweeted him as the strongest in the world. -My younger brother, Dele, was more excited than me at first but he sat me down and drummed home that, in it’s own way, it is quite an achievement. To be recognised as the best in the whole world at something is an achievement. -People may laugh or whatever, but my strength is something that I have to work on. It’s not something that just happens overnight, it takes dedication and hard work and it has a purpose as it helps me every week on the pitch. -I was given a 97 rating out of 100 and third on the list was George Elokobi of Wolves, who got a rating of 95. I remember playing against him twice last year for Northampton and he is a strong boy. I got the better of him in the first game but the second game was more evenly matched – I think he thought ‘I’m not going to let The Beast get the better of me twice. -Unfortunately, George was injured when we played Wolves earlier this year but hopefully he’ll be fit when we play them later in the season. It will be an epic tussle. Super man abeg come nigeria make u help us fight boko haram. If this one jam u by accident wetin u go tell ur God for heaven say na him do u?